For the first time, researchers have quantified the carbon footprint of global tourism around the world – and their findings show that tourism’s impact is roughly four times greater than previously thought. The research, led by the Integrated Sustainability Analysis supply-chain research group at the University of Sydney, accounted for all components of the tourism industry, from travel to souvenirs. The group found global tourist activity is growing faster than international trade and already accounts for one-tenth of the world’s total greenhouse gas emissions. The impact analysis took a year and a half to finish and included approximately one billion global supply chains. “Our analysis is a world-first look at the true cost of tourism—including consumables such as food from eating out and souvenirs—it’s a complete life-cycle assessment of global tourism, ensuring we don’t miss any impacts,” study co-author Dr. Arunima Malik told Phys.org. Not surprisingly, the researchers identified air travel as the major contributor to the overall emissions from global tourism. As much of the world experiences a period of strong economic growth, there is concern that this will result in greater greenhouse gas emissions. “We found the per-capita carbon footprint increases strongly with increased affluence and does not appear to satiate as incomes grow,” lead researcher Manfred Lenzen told Phys.org. The researchers recognize that high-level actions must be taken to counteract the ever-increasing emissions trend in tourism. “Given that tourism is set to grow faster than many other economic sectors, the international community may consider its inclusion in the future in climate commitments, such as the Paris Accord, by tying international flights to specific nations,” co-author Ya-Yen Sun told Phys.org. “Carbon taxes or carbon trading schemes—in particular for aviation—may be required to curtail unchecked future growth in tourism-related emissions.” All this, however, will most certainly result in increased costs for air travelers. Your headline and first few sentences suggest that there is something significant about a "carbon footprint". There is not. For the first time, researchers measured the global greenhouse gas emissions produced by the tourism industry, from transportation to physical products. 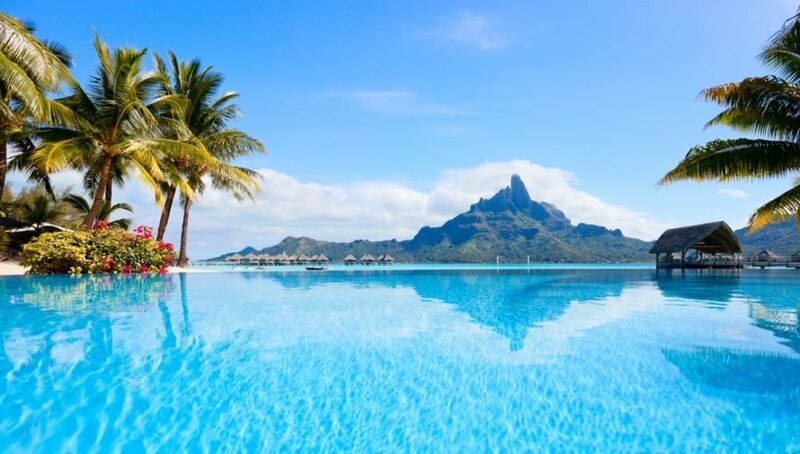 The study found that tourism has a disproportionate impact on the carbon footprints of islands, such as Bora Bora.